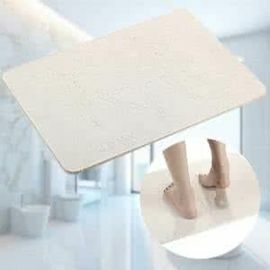 · This is a bath mat of a hard board made with Diatomaceous Earth. 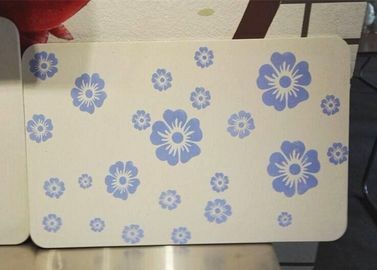 If you don't like the hard feeling, recommended to spread a towel on the bath mat, the water of towel can be also absorbed, please feel at ease to use. Note: Wash with running water or wipe with a wet cloth/sponge when first use. · The latest innovation for safety in the bathroom! 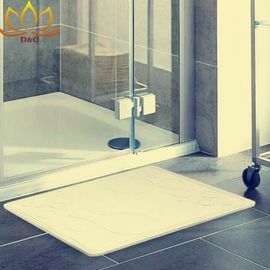 This bath mat prevents slips and falls by instantly wicking water away from your feet faster and more completely than any fabric bath mat. 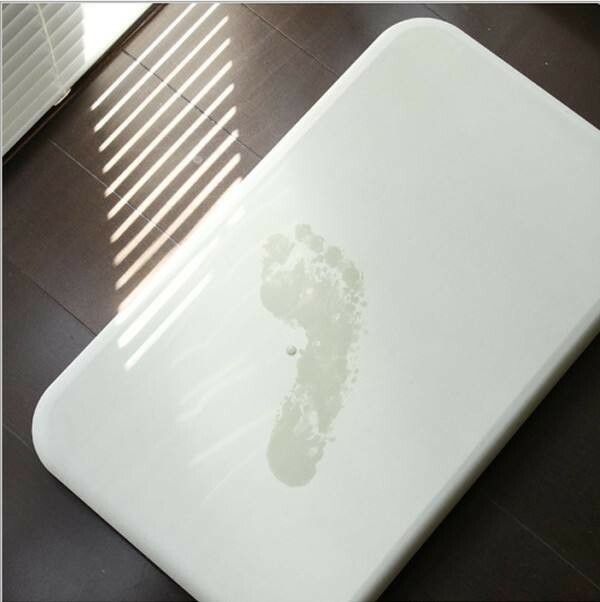 · Wet feet are slippery feet, and ordinary bath mats can't properly dry your feet when you step on them out of the shower or bath and then step onto the floor. Feeling cool just like stepping on smooth wood floor. · Already widely popular in Japan and China, this innovative safety product is only now becoming available in the US. 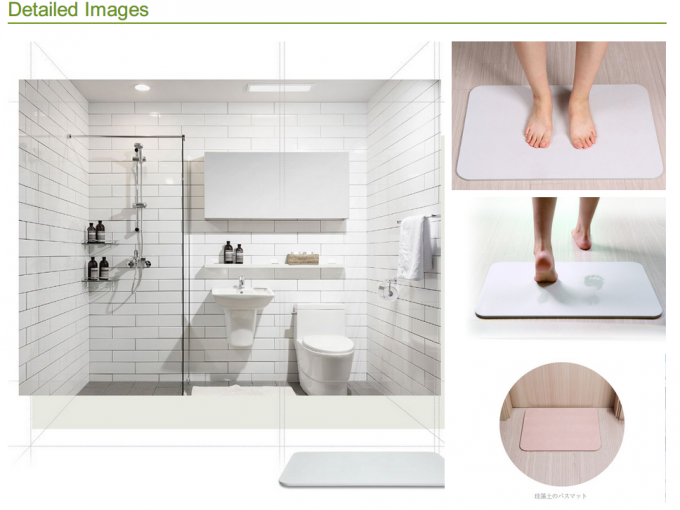 · Totally unlike other bath mats, this mat is actually a rigid board of bonded diatomaceous earth. 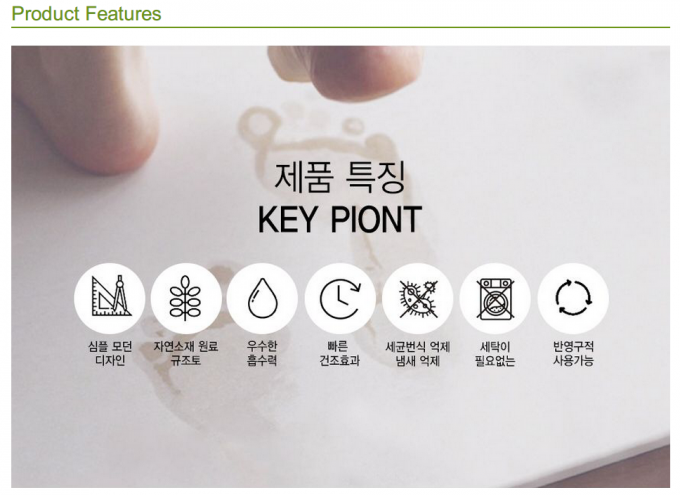 Naturally antibacterial and anti-fungal, it stays clean and odor-free indefinitely.